We meet every Monday in room 205 during lunch. 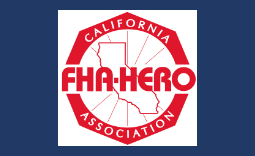 FHA-Hero is a club that focuses on developing career and leadership skills. The students are able to improve their personal leadership and career skills by participating as members in competitive events, leadership development activities, and community service projects. The California Affiliate of FCCLA offers programs for the students to apply skills learned in the classroom and to receive recognition. The CRE program consists of 20 events. Some such as Culinary Arts Display, Energy and Resource Conservation, Job Application and Interview and Fashion Design. Corporations and institutions support the program with cash donations, scholarships and prizes. Click Here to see a list of each CRE and their descriptions. California Competitive Recognition Events (CRE) recognizes members for proficiency and achievement in chapter and individual projects, team events, leadership skills, and career preparation. CRE offer individual skill development and application of learning through cooperative, individualized, and competitive activities. Bullies? That's so Last Century! "FHA-Hero is a club about teaching students good qualities that would be used in their future lives. We raise awareness of the dangers in a typical high school student life. We go to two yearly competitions to show our extra skills for the future, whether it is cooking, group speaking, job interviews, fabric design, etc. We hope to win every year with the skills we gain in the club." "FHA is a club where it focuses on leadership and developing skills. We all come as one and help each other; as in raising money for competition or just helping each other out in general." "FHA-Hero is a place where you can make new friends who you may have the same interests with. It’s sort of like a second family. We all try to make it as fun as we possibly can for each other. I strongly advise new students to join this club. You will have fun."